I’ve added a new page that has a listing of planned events and activities. It’s the Announcement & Events tab at the top of this page. 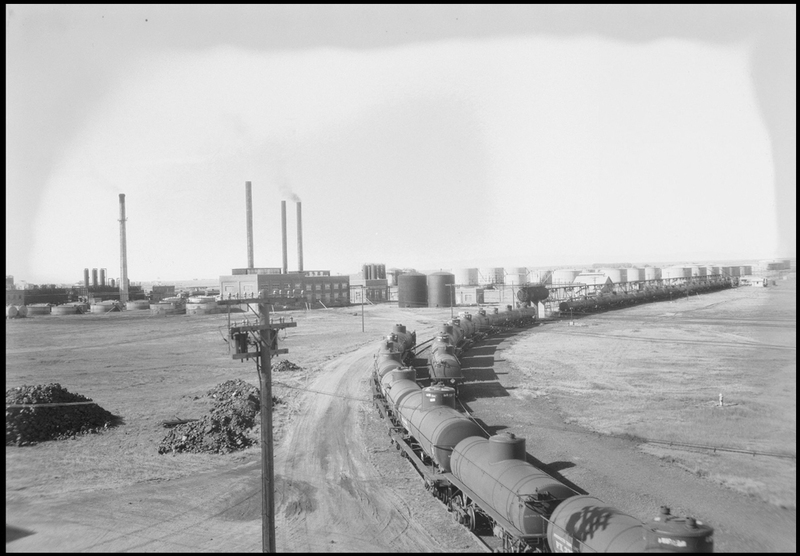 Undated, (c.1920) panoramic from atop one of the storage tanks near the Big Laramie River. 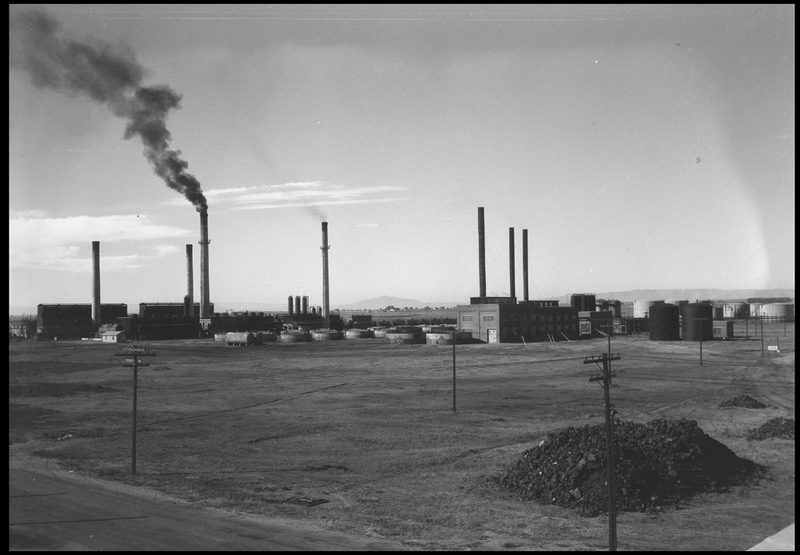 Over the past twelve months, I’ve had the privilege to photograph and research the site, and it has been fun, exciting, and enlightening to learn about this little portion of Laramie’s history. I thought I’d take this opportunity to share some technical information about the image that are found on the site. Throughout this past year, (2012), I’ve photographed using nothing but natural sunlight to capture all of my images. This has worked well for all of the exterior areas such as the stills, the production line, and all of the other structures. I’ve faced numerous challenges with the interior areas of the buildings, and going forward, will be utilizing more and more artificial lighting, including high-powered strobe lights and incandescent work lights. This will require some evening and night time work to accomplish this. I will be using generators, and battery-powered power inverters in these productions. I will continue to publish and post images that have date stamps of “2012” on them, along with new images that will have “2013” as well. Images that bear the date stamp of “2013” may or may not utilize artificial lighting, but all that bear “2012” upon them are strictly sunlit.